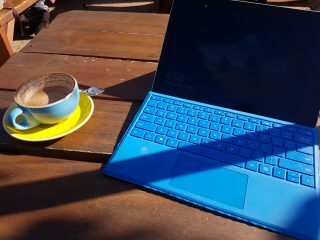 I’ve had a really challenging and interesting week both here at home in Perth and away in Canberra, and throughout it there has been some common threads around technology that I’ve been weaving together into a bit of a theme. So I thought this week I’d contribute a blog about what’s been going on in my head over the last week – and it all comes back to why we do what we do here at Gaia Resources. Last week I headed to Canberra for the Fenner Conference on the Environment: Urban Sustainability and Conservation, primarily to meet up with some of the Clean Air and Urban Landscapes Hub team and to participate in the conference (which was not your usual conference, more on that in a second). 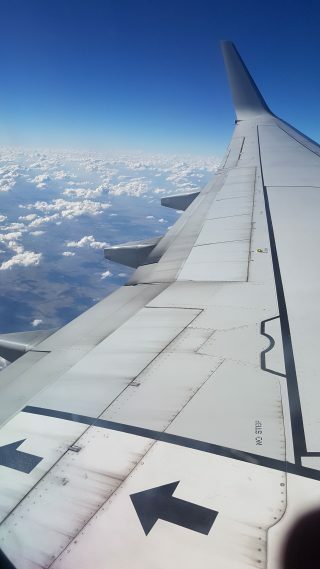 My technology musings started at about 15 minutes after takeoff from Perth… when the cabin crew announced there is new, “high-speed” Wi-fi on domestic flights. My first reaction was that there goes my little happy place of solitude at 30,000ft, but I was also pretty impressed that it was available. 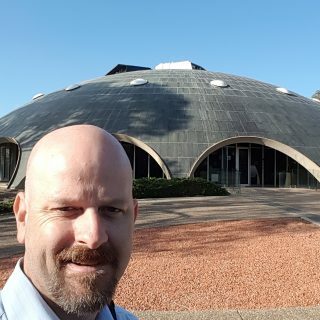 The Fenner conference, held at the Shine Dome in Canberra, was an event I’m really glad I attended. There were some thought-provoking presentations around landscape and building design and the environment, replacing trees with artificial ones, mygalamorph spiders in Perth, and unintended consequences of human-nature interactions (like urban wetlands for water treatment being new breeding grounds for mosquitoes). It was also great to see Landcare represented (through the Corowa District Landcare group). Apart from the talks, there was a considerable part of the day set aside for discussions towards how a statement around urban sustainability and conservation could be embraced, and in the afternoon session there was an interesting discussion around keeping us talking after the conference. Immediately, everyone started suggesting forums, list servers, Facebook groups and the like, and I decided to pipe up. My take on this comes from our work in citizen science, where it is really important to have engagement that is meaningful and preferably personal. Alex has done a great job of presenting about that citizen science aspect in a couple of recent blogs, too. Those forums and the like that were suggested above don’t work well for me, because they don’t deliver the same meaningful discussion we were having in the room. So I suggested “as the IT guy” that you think about localised informal chapters that meet for coffee (or beer) to carry on these discussions. There is yet to be a technology in the world is not a substitute for quality human interaction (especially when helped along with a beverage)! I also spend quite a bit of time talking to a range of our clients in Canberra, including CSIRO, where we’re on the final stretch of our “upskilling” Collections Management project with the team behind the National Research Collections of Australia (NRCA). Our project here has been to work alongside the CSIRO team, providing expertise, support and advice on the implementation of CollectiveAccess into the NRCA collections (more on that to come in a future blog). A lot of that project has involved using technology to communicate – Confluence for tracking discussions and knowledge, Jira for tracking tasks, and a bunch of teleconferencing and videoconferencing to ensure that communication is as good as we can do remotely. So technology was helping us communicate remotely, but wasn’t a complete substitute (we couldn’t just rely on Confluence and Jira). I also managed across my travels to maintain something of a presence back in our offices, by being available to get into our team videoconferences, responding to emails, and working on a range of project deliverables while I was on the road. Thank goodness for technology – on the way home I even used the in-flight wifi a bit (and to be honest, it’s still got teething problems) to catch up and try to clear the deck for the weekend. So I got home and recovered during the weekend (my fitness sure needs some work, but thankfully our new digs at FLUX have a gym) before heading straight back out to present yesterday at the Perth NRM Using Digital Technology in Natural Resource Management workshop. I headed up the workshop with an introduction to technologies, providing some of our insights from working in this space for the last 15 years at Gaia Resources. My slide deck is going out to the attendees as a PDF (which you can get here), and is embedded below. Think about data standards, maintenance and collaboration. It was a very interesting week all up which had me on something of a roller coaster ride, but it also has left me even more convinced that appropriate technology can help deliver great outcomes to the environment. Seeing how well we can work remotely and how different technologies can help our clients to deliver on their needs, was a real refresher – something that kept me going through the pretty long days you get when you’re on the road (and catching up afterwards). Technology for it’s own sake is not a good thing; but when you pair up a particular problem with appropriate technology? Well, that’s what gets me up and grinning every morning here at Gaia Resources, and we’re always looking for ways to help our clients – so drop me a line, or start a conversation with our team via Facebook, Twitter or LinkedIn.